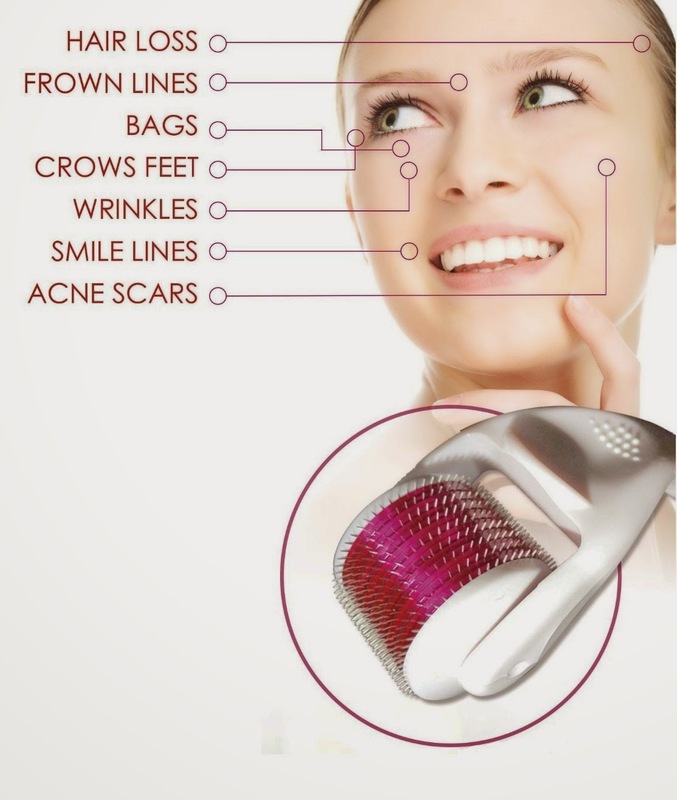 Derma Roller by Diva d'or - Titanium Micro Needle Roller - 540 Needles - Best Skin DermaRoller for Body and Face + FREE Travel Case - 1.0mm Needle Length - Use microneedling for Anti Aging, Acne Scars, Stretch Marks, Wrinkles, Eyes pouches, body, Hair Loss, Cellulite, Scalp and Beauty enhancement - Multiplies the results of Skincare products like Vitamin C, anti aging serum & Hyaluronic Face Serum. 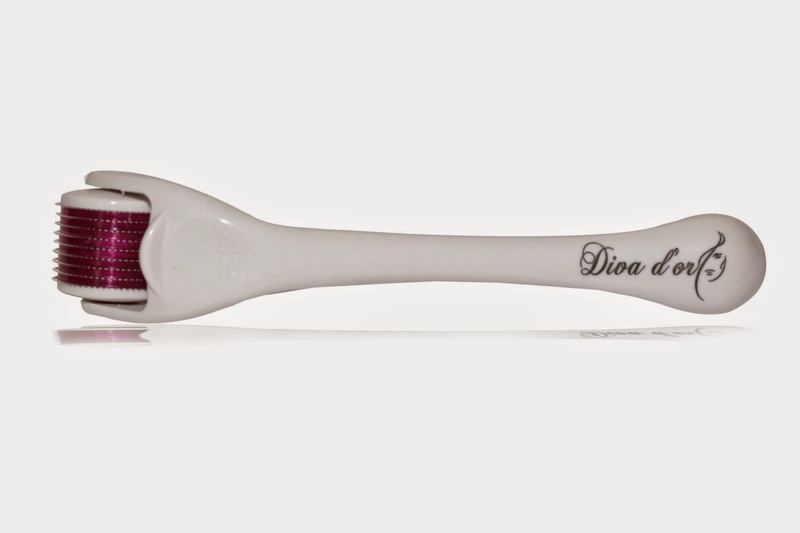 Diva d'or is the Professionals Choice for Skin Treatment at Home! - No Questions asked Policy. MAKES YOUR SKIN YOUNGER AND HEALTHIER - Reduces and Eliminates: Wrinkles, Acne Scars, Fine Lines, Cellulite, Stretch Marks, Hyper-Pigmentation and other Blemishes. Get Smoother, Firmer and Younger Looking Skin. 1) Disinfect the Roller Head with Medical grade alcohol before and after each use. 2) Use alcohol or a cleanser to clean your skin before the micro-needle treatment. 3) Roll over the skin while applying slight pressure in horizontal, vertical and diagonal directions on each part of the treated area. Reduce speed and pressure while changing directions. 4) Apply a vitamin and mineral enriched skin care product such as a cream, serum or mask. 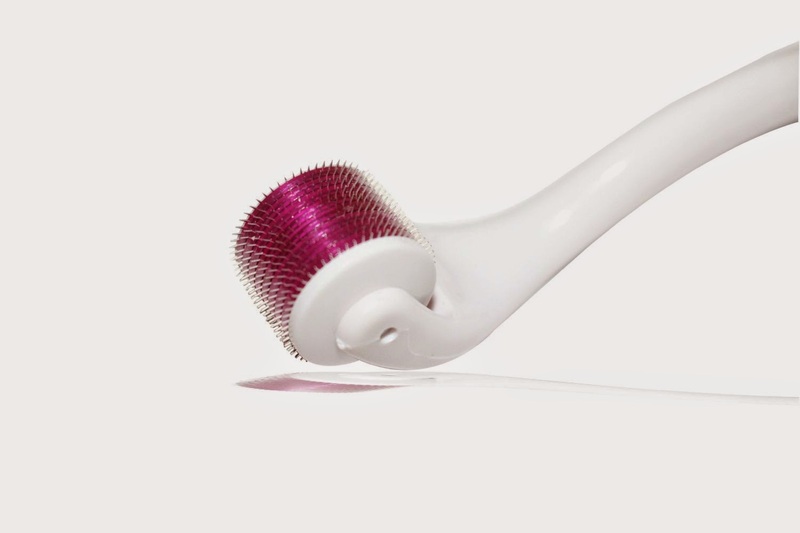 - Tightens skin and restores elasticity. - Reduces the appearance of scarring. - Reduces pigmentation and sun damage. - Improves the skin's ability to absorb topical serums, gels and creams. 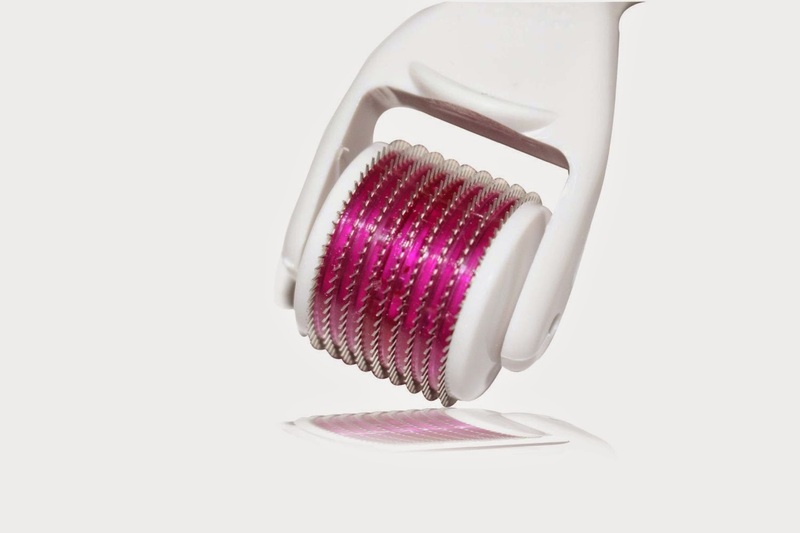 - Great Quality Derma Roller. - Fast Results For Flawless Skin. - Bargain Price For An Excellent Product. 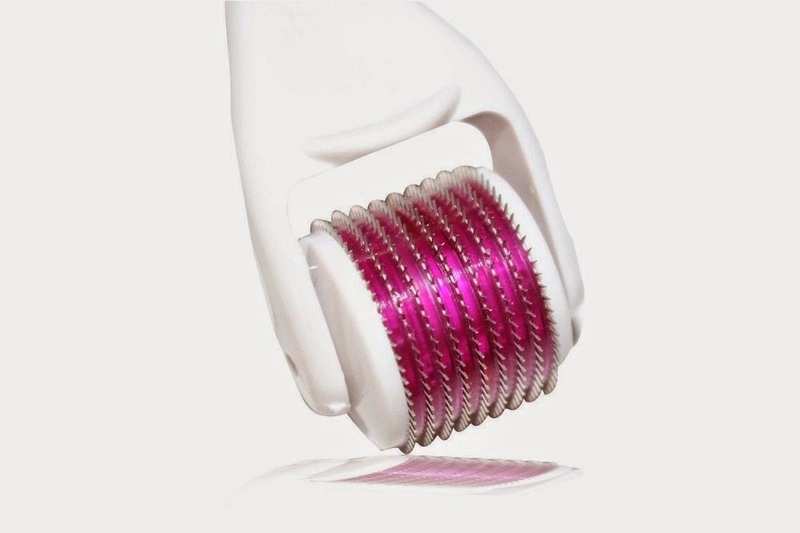 - Easy To Use A Derma Roller That Works Like A Dream. - Super Product - Beats Going to the Salon. - Treats Every Skin Type. - Comes In a Sterile Package And a Protective Kit. Ready to be used straight away. Your satisfaction is our top priority. If for any reason you are not 100% happy with your purchase, we have a 90-day, money back guarantee. Let us know and we will refund the full price of your order. No questions asked. 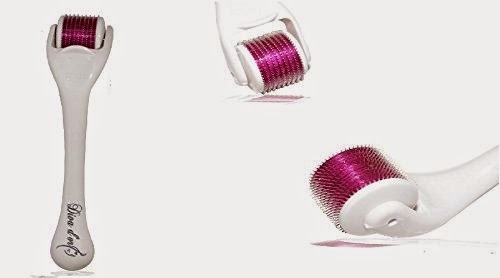 You have made the right choice with the Diva d'or Derma Roller. 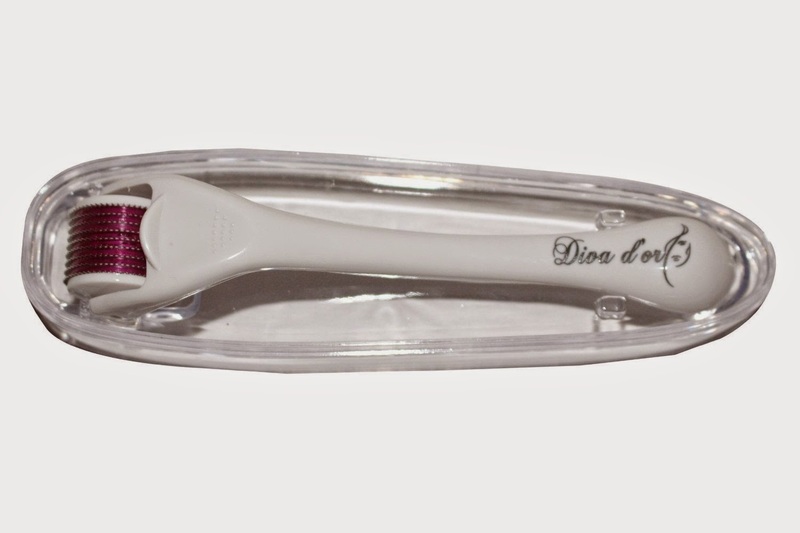 I was happy to get to try the Derma Roller by Diva d'or. It comes in a nice hard storage case. I have to admit it looks a little intimidating at first but when you read how to use it and start it is quite easy. I started using the derma roller on some scars on my torso so I could get use to using it before I did anything to my face. I practiced and you definitely have to gauge how much pressure you use while rolling. I recommend using it at night before bed because it does make you skin red and later it does feel like a sunburn but not horrible just irritated. This did not last long for me and my skin peeled a bit and underneath was this fabulous new skin and my scarring was less. I plan on using it again and try it on my face as well. I cannot wait to see how light my scars get. Follow the directions and this is a nice tool to use. I received this product in exchange for a review. I was not compensated for my review and all my opinions are my own, based on my personal experience with the product. I am disclosing this in accordance with the Federal Trade Commission’s 16 CFR, Part 255: Guides Concerning the Use of Endorsements and Testimonials in Advertising.